Road accidents come at a huge cost to the community; more people under the age of 55 die from motor vehicle crashes than from any other cause. In 2016 alone, according to statistics from the National Highway Traffic Safety Administration 37,461 people were killed in 34,436 motor vehicle crashes. That is 102 people on average dying every single day. 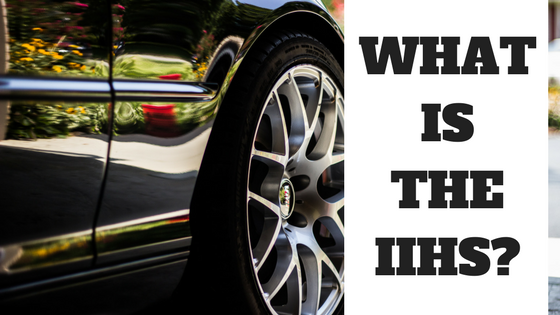 You might have heard of the Insurance Institute for Highway Safety (IIHS). Founded by three insurance associations in 1959 to originally support highway safety efforts of others, they evolved into an organization conducting their own independent research on vehicle accidents, with the goal of reducing the resulting losses; that is deaths, injuries, and property damage. It’s in society’s best interests to reduce the number of crashes on the roads, but going about that is a difficult task. The three areas the IIHS work on are human factors (fatigue, driving under the influence of drugs or alcohol, seatbelt usage), vehicle research (crashworthiness and crash avoidance), and the physical environment (road design and eliminating hazards). The influence of the IIHS can’t be underestimated, and while the last two years has seen a slight increase in the number of deaths and injuries the overall trend since the 1970s has been a sharp decline, even though the number of cars and driving miles has increased massively in that time. That said, while road crashes happen it would be unacceptable to not try and eliminate them, or to reduce the severity of any crashes. Since 1992, the IIHS has had a Vehicle Research Center (VRC) to conduct crash tests and evaluations on vehicles, to encourage automotive manufacturers to simply design and build safer cars. It is also in insurance companies’ best interests to have safer cars capable of also avoiding or reducing the severity of any eventual accident, and that’s what the VRC assesses in its range of crash testing and technology evaluation (like reversing cameras and sensors, and adaptive headlights). The IIHS gives ratings to vehicles after the relevant crash tests have been carried out; the testing covers overlap front crash tests, side crash tests, roof strength and head restraint ratings, front crash prevention ratings (to test forward collision alerts and autonomous emergency braking), and child seat restraints. Headlights are also given a rating. Vehicles are given a rating of Good, Acceptable, Marginal, or Poor (except crash prevention where they are given a basic, Advanced, or Superior rating), and if passenger safety is a priority for any prospective car buyer (which it should be), checking out the IIHS Top Safety Picks (http://www.iihs.org/iihs/ratings/TSP-List) is an excellent way to narrow down the search for a new car. To be a TSP-rated car, it must have received a Good rating in the driver-side small overlap front, moderate overlap front, side, roof strength and head restraint tests, and an Advanced or Superior rating for crash prevention as well as an Acceptable or Good headlight rating. To be rated a TSP+ car, must additionally receive an Acceptable or Good rating in the passenger-side small overlap front test, and a Good rating for the headlight test. It’s high praise for a car to be awarded such a rating then and, as you’ll see from the list, not every car currently built makes it. Pleasingly, however, the number of cars that receive a TSP or TSP+ has increased year-on-year, and in the last decade the choice now in most categories is more than you can count on two hands. While purchasing a car must be made against a lot of criteria, it’s safe to say that, pun unintended, you could do a lot worse than considering a car that is regarded as a top pick by the IIHS.